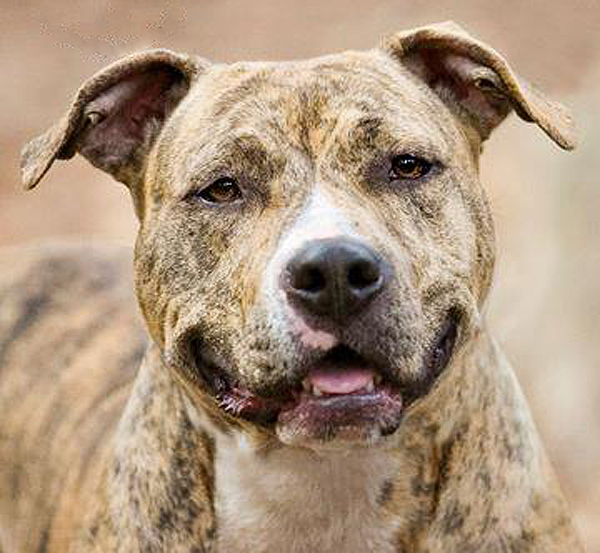 Miracle is a 1 ½ year old brindle American Pit Bull Terrier that weighs about 60 pounds. Miracle has an amazing temperament and is a very happy girl; she loves being around people, children, cats, and dogs of all ages and sizes. Miracle was found by Animal Control in October behind a storage facility with her throat cut from ear to ear with what was believed to be a knife, not an embedded collar. Miracle was taken into Animal Control for emergency surgery, and received over a hundred stitches. The shelter staff nicknamed her Miracle since it was a miracle she survived. Miracle has undergone another surgery since she was rescued, but as of today she is healed and is ready to be placed in her forever home. Miracle is not looking back upon what has happened, just looking forward to finding a home where she will be loved and cared for. Miracle is a truly special dog who has overcome severe neglect to become an outstanding companion who can be taken with you anywhere that dogs are allowed. 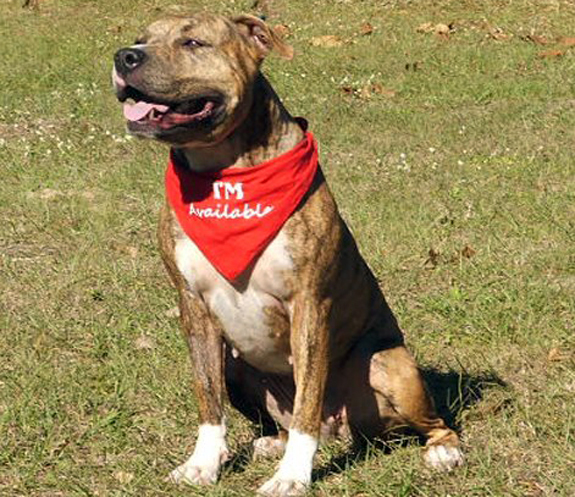 Miracle is a very affectionate and socialized dog that seeks out people and other dogs, and she loves to show people how she has mastered basic commands such as sit, stay, come, and play fetch; she also takes treats very gently from your hand. Miracle has a great temperament and is very active, but at the same time she loves to spend time in the house just cuddling and relaxing. 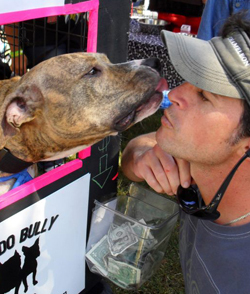 She is great to take to events, and enjoys being in the Kissing Booth, so she can give kisses! Extremely responsive to training, she also walks well on leash, and could pass the Canine Good Citizenship test. She also loves to go for long walks and, if you like to run, she would like to join you. Miracle is located in Orlando, FL, and is spayed, up-to-date on all her shots, heartworm negative, micro-chipped, and house- and crate-trained. 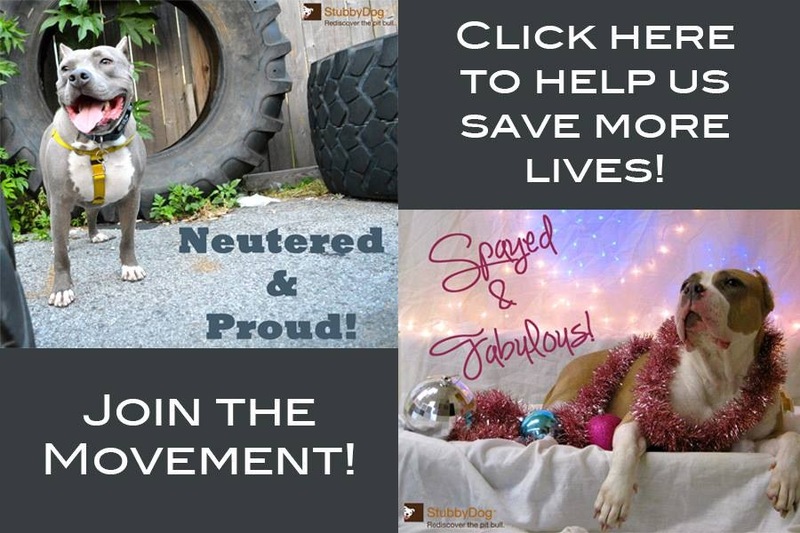 To find out more about Miracle please contact Orlando Bully Rescue at [email protected]. 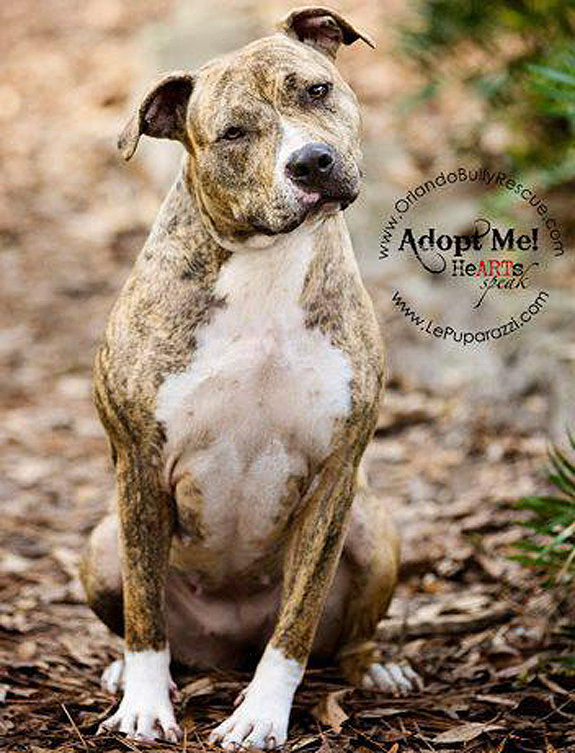 You can also visit Miracle at the Orlando Bully Rescue website, or on Facebook.